Rivals.com has Pitt entering next season as #13. BUZZ: Dave Wannstedt and Pittsburgh was a win away from a BCS bid in 2009. RB Dion Lewis will be a candidate to be the fourth consecutive sophomore to win the Heisman. 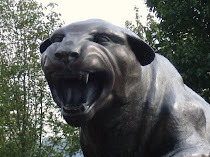 The Panthers need to replace some key players on defense - both tackles, a couple of veteran linebackers and CB Aaron Berry - but the Panthers should be the preseason favorite in the conference. No mention of QB Bill Stull and Dorin Dickerson on offense, but limited space was alloted to each team. One thing I kind of lost track of was the three straight sophomore Heisman candidates. Kind of ironic considering all the talk that Larry Fitzgerald didn't win the Heisman because he was a sophomore. That seems forgotten now. At any rate, Rivals picks Pitt as effectively the top Big East team with UCONN a somewhat surprising second. Pitt finally got over the hump under coach Dave Wannstedt, who led his alma mater to its first 10-win season since 1981. The Panthers will have to replace quarterback Bill Stull and three starting offensive linemen, but they'll have two of the country's best playmakers in tailback Dion Lewis and receiver Jonathan Baldwin. At least five starters will have to be replaced on defense, too, including All-Big East defensive tackle Mick Williams, linebacker Adam Gunn, and cornerbacks Aaron Berry and Jovani Chappel. Wannstedt hopes junior defensive end Greg Romeus is coming back for his senior season. 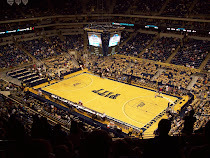 Pitt plays an aggressive nonconference schedule, with road contests at Utah and Notre Dame and a home game against Miami. The Panthers will play Big East road games at Connecticut and Cincinnati and will play Rutgers and West Virginia at home. Still not sure why exactly Pitt would want to travel to Utah to play, but to each his own. In this poll, Cincy ranks first among Big East teams and Pitt second.